Simon Covert is a senior at Triad High School in Troy, IL who competes in the sprints for the Knights. 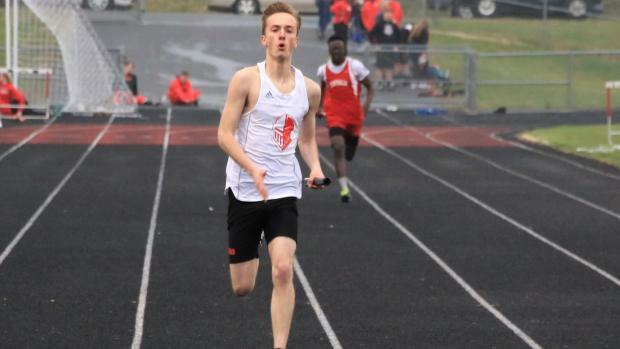 Find him covering meets in Southern Illinois, more specifically the Metro East Area. Simon wanted to be a Milesplit intern because he loves keeping up with track athletes and their times. He has followed Milesplit on Twitter for a long time and has been a big fan so he decided to apply as an intern. An animal that best describes him is a hawk because once he's zoned in and focused on something he gets it done. According to Simon the best event in track and field is the 4x400 meter relay because it is one of the most ferocious races and receives the most hype out of every event. Most athletes are scared of it especially when their coach comes to the team camp looking for somebody to run it LOL. Simon's favorite sports teams are the Houston Rockets, Indianapolis Colts, and Purdue Boilermakers. The food he enjoys most is Hot Wings. The best sprint spikes according to Simon are the Vazee Sigmas New Balance, they are a work of art. When choosing between Android and iPhone, Simon is Team iPhone.